Californian duo Woolfy vs Projections has finally finished the follow-up to their 2008 album "The Astral Projections Of Starlight". 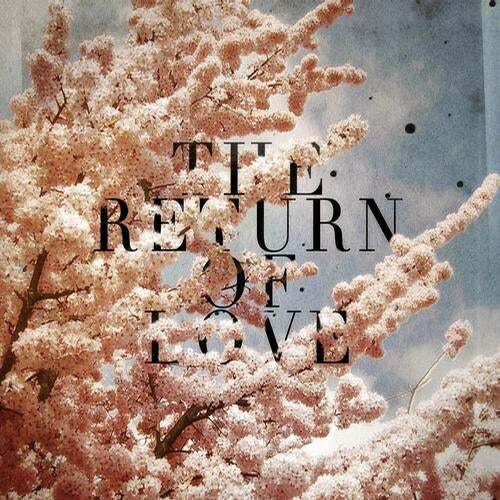 With its blend of psychedelic west coast rock, disco, balearic and hints to the likes of Bryan Ferry, Wings or David Crosby, "The Return Of Love" is a source of pure excitement. Whether it's getting thrown out of bars by the Russian mafia to saving the world with the Verve's Richard Ashcroft , where ever Woolfy vs. Projections lay there hat , adventures sure to follow. Simon James and Dan Hastie have a knack for getting themselves in to out of this world situations and come out unscathed. The two met in Los Angeles just before the turn of the millennium and have been creating a steady flow of underground music. The two share a passion for vinyl, analog synths, witches and table tennis. Their first release as "Projections" was entitled "Kingsburg", a track featuring the vocals of Marvin Gaye's "Come Get To This". The release came out under Chicago's historic Guidance Recordings and appeared on many compilations, including the one by house legend Tony Humphries Live at Fabric. From there, the full-length "Between Here & Now" was released. It made serious waves in the electronic scene and put Projections on the map. After that Dan became heavily involved in many projects such as the funk outfit Orgone, The Lions, and Connie Price and The Keystones to name a few. Simon set his sights on a solo project under the name Woolfy, which was followed by a Woolfy/Projections split single on DJ Spun's "Rong Music" and by an album on Dfa records. Newer endeavors include a partnership with Empire Of The Sun's, Sid Who under the moniker The Merryl Streeps. In 2008, Simon and Dan joined forces again to release their first LP as Woolfy vs. Projections "The Astral Projections Of Starlight "on Permanent Vacation. It was a concept album based on the adventures of the lost astronaut Captain Starlight, who is the hero in a Zazu track, a notorious Balearic rock classic, which also set the bench mark for the sound of Woolfy vs. Projections: A deep Balearic twilight vibe combined with spaced out house, dubbed disco, beard rock and a heavy funk bounce. The three singles from the album " Abysnth" (described by Resident Advisor as "Air covering Steely Dan"), "The Return Of Starlight "and "Neeve" became modern classics of the genre. Almost four years after the first album Simon and Dan aka Woolfy vs. Projections bring us " The Return Of Love". The Album continues the story of "Captain Starlight ": the astronaut returns to earth after his odyssey in space, finding his lost love and releasing all that was. "The Return Of Love" was conceptualized in the Californian Big Bear Mountains. "We we're focused on recording during the dates of November 9th 2009 to November 11th for mysterious purposes, so we packed up a grip of analog keyboards, pre-amps , laptops and fine ales and boarded ourselves up in a log cabin for a couple of days." The influences on the album oscillate between the likes of Wings, David Crosby, Brian Ferry and today's disco leaving the boundaries of electronic music far behind them. In fact, Woolfy vs. Projections have recorded a modern west coast psychedelic rock album with "The Return of Love". The best example is most likely the track "Nina", a coproduction with Hamburg's Tensnake. This music hits you like a good peyote trip!